The MICRODYN-NADIR executive team holds decades of experience in manufacturing, product development, membrane formulation, sales and customer service. Many of our key personnel have spent their entire careers within the membrane industry and have been part of growing the technology from its early beginnings. MICRODYN-NADIR has developed a responsive, highly competent, technical work force with unique capabilities. Walter has been a part of MICRODYN-NADIR since 2005. Walter serves as Chief Executive Officer and previously served as Chairman of the company’s Management Board. His vision with customers, partners, shareholders, and investors has helped streamline operations, strengthen the product line, and drive growth. He has an engineering degree in process technology. Gabriel has served as Chief Financial Officer and Managing Director of MICRODYN-NADIR Germany since 2015. He brings a wealth of industry experience and knowledge from previous companies, including MICRODYN-NADIR’s parent company MANN+HUMMEL. Peter Knappe was one of the founding members of TriSep Corporation and now serves as Managing Director of MICRODYN-NADIR US. A graduate of the University of California at Berkeley's Chemistry Department in 1982 with a degree in Chemical Engineering, Peter has spent his entire career in the membrane industry. Peter began working for Hydranautics as a technical service and product development engineer before founding TriSep Corporation along with James Bartlett in 1989. Prior to TriSep’s acquisition by MICRODYN-NADIR in 2016, Jon served as Sr. Vice President, Commercial at TriSep Corporation. Jon graduated with a degree in chemical engineering from Georgia Tech in 1987 and has worked exclusively in the membrane industry, including a 20-year career with Dow Chemical. Jon built TriSep’s global commercial team from the ground up and under his stewardship, TriSep doubled in size, driven by expansions in food, dairy, specialty and custom products. With the acquisition of TriSep by MICRODYN-NADIR, Jon took on the role of Global Commercial Director and continues to push the company to new heights. Marco Nava has served as Managing Director for MICRODYN-NADIR Italy since the company’s 2018 acquisition of OLTREMARE SPA, where he previously served as Chief Executive Officer. Under his guidance, OLTREMARE was established as Europe’s leading private-label reverse osmosis spiral-wound membrane manufacturer. In addition to his role with MICRODYN-NADIR, Marco serves as CEO for a number of specialty corporations. Hans Jörg Heckmann is the Managing Director for MICRODYN-NADIR China and MICRODYN-NADIR Singapore. He has handled MICRODYN-NADIR’s Asian market since 2001 and in 2006 helped establish MICRODYN-NADIR China in Xiamen. 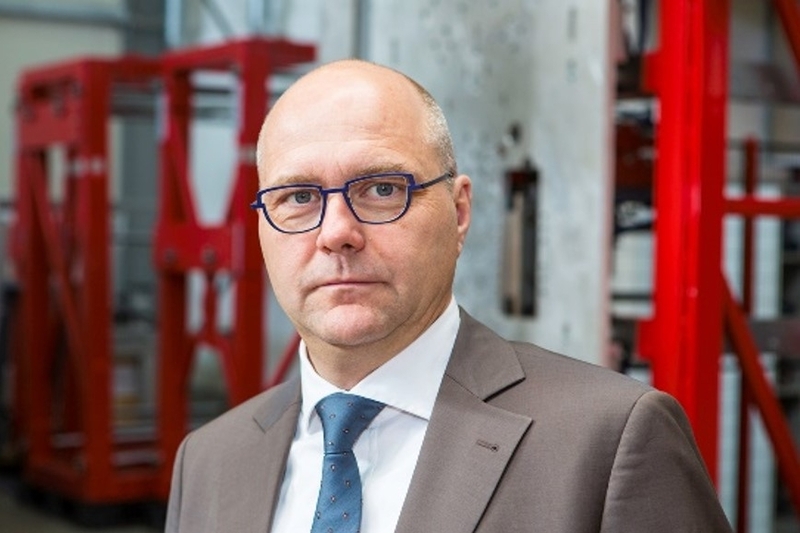 Prior to joining the company in 1999, Hans worked in the membrane process and project engineering industries. He has a degree in process engineering from RWTH Aachen University in Germany.